After the almost perfect weather in the previous day, the forecast was just as shiny for the fourth one. 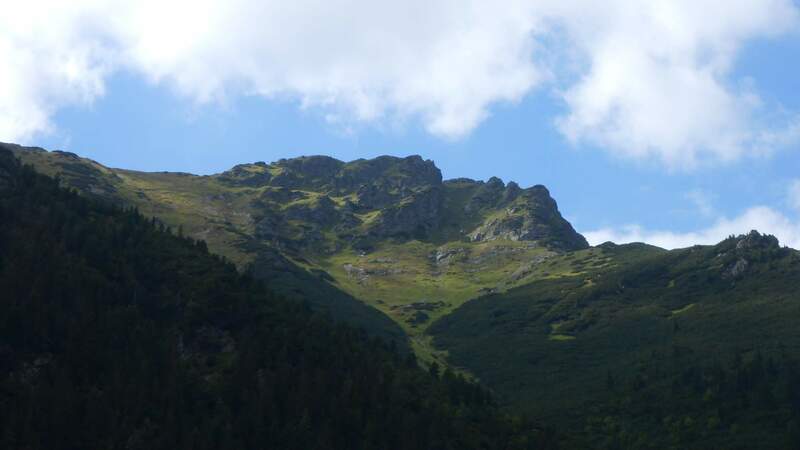 The plan was to go for the highest peak of the mountain range at 2248 meters and by this day it was likely that the next three days after would go for the second, third and fourth respectively. 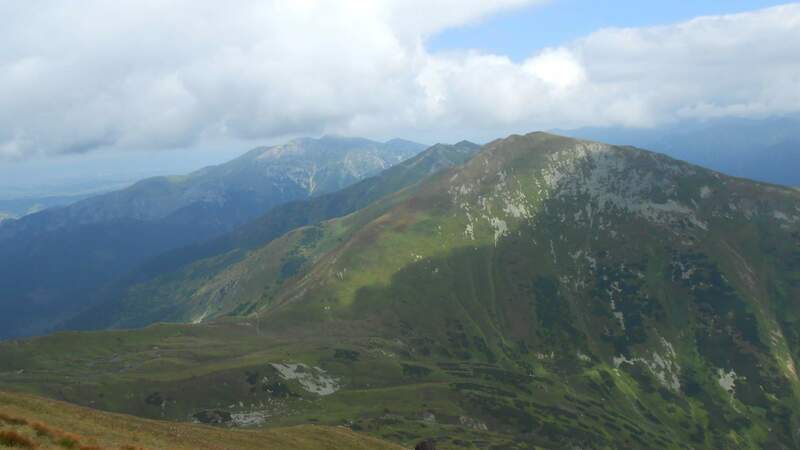 The two main prepared options were both similar: ascend through one valley and descend through another, moved by one valley compared to each other. I chose the “easier” one still, but it was almost the same by distance, slightly easier by elevation and for reasons that will be seen later, a very lucky pick. The hike started, as usual in that part of the mountains, by walk through short section of spruce forest, only to reach the strip deforested by 2004 and 2014 windstorm (and finished off by bark beetle). After crossing this dry (especially in the heat) portion, we reached the beginning of the valley itself. 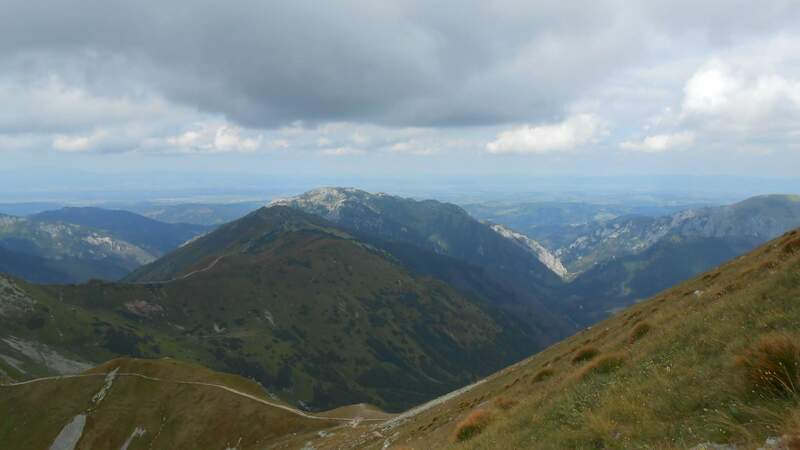 Before entering it, we could see the ‘Nízké Tatry’ mountain range across the wide valley below us, including the ‘Král’ova hol’a’ peak I ascended in 2012, easily identified by its tall transmitter tower. 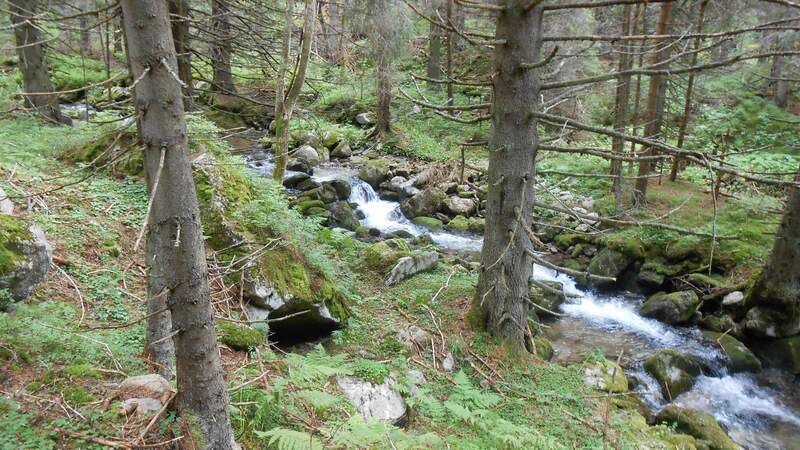 After entering the valley, once again shielded from the sun by dense spruce groves, the path remained the same for most of the time: pleasant walk along a cascading stream, which is pleasant to all senses. Eventually we reached the elevation that was unsuitable for trees and instead surrounded by shrub pines. 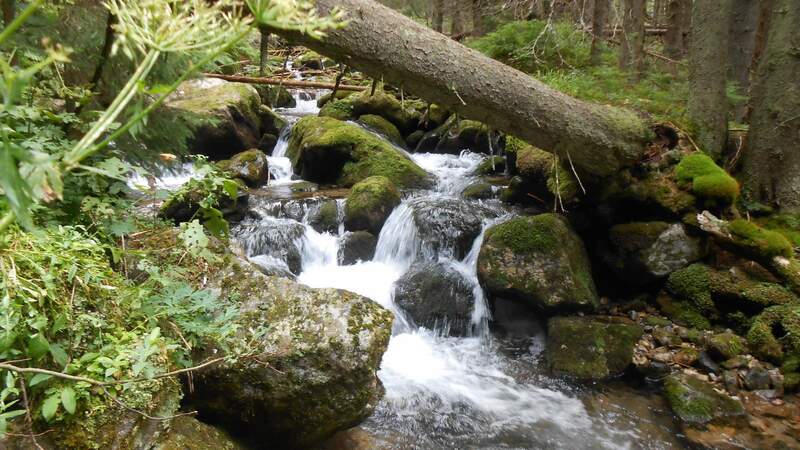 The stream remained, and so did the pleasant atmosphere. Eventually, we reached the valley’s top part, by the lake that was now just a pool of mud. 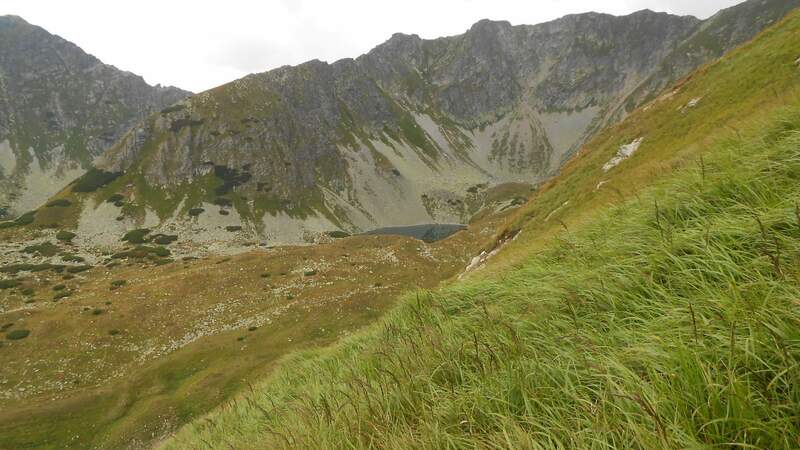 There, the path left it and started sharp ascension by zigzagging into the slopes of ridge that made the right side of our valley. 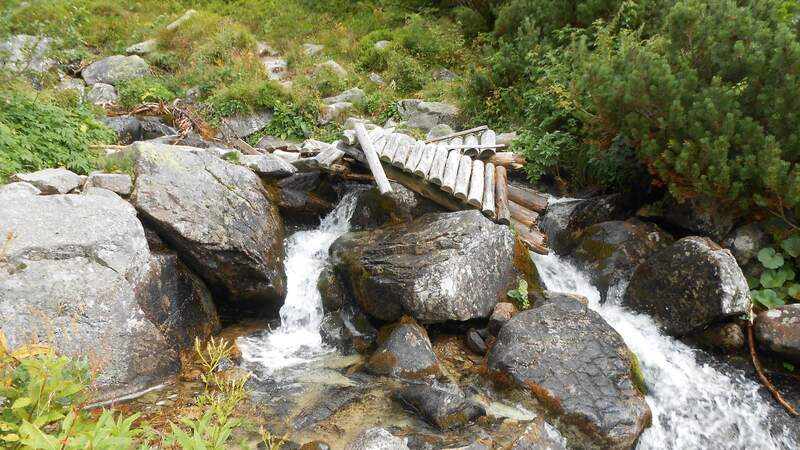 This was pretty much the only difficult part of this hike. I, as usual, rushed ahead and decided to take a while of rest (and take some photos) once reaching the top of this section. I was not alone to do that, there were a few people resting around as well. And that was where the luck kicked in. 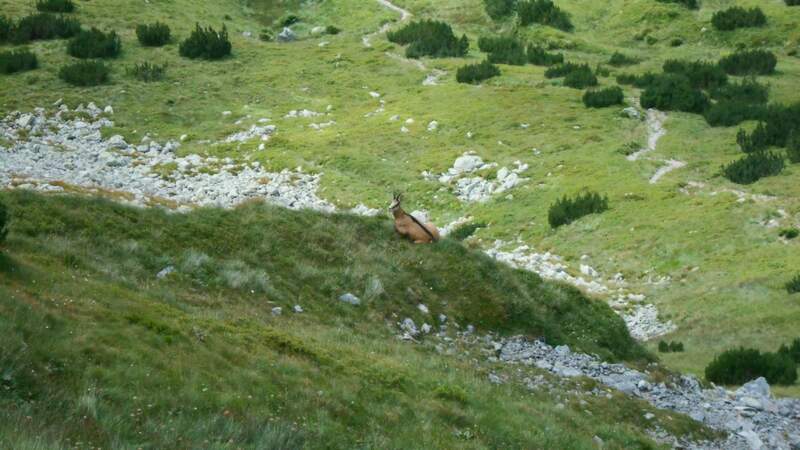 This part of the hills is less visited, and so gives decent chances for spotting a piece of wildlife: the chamois. 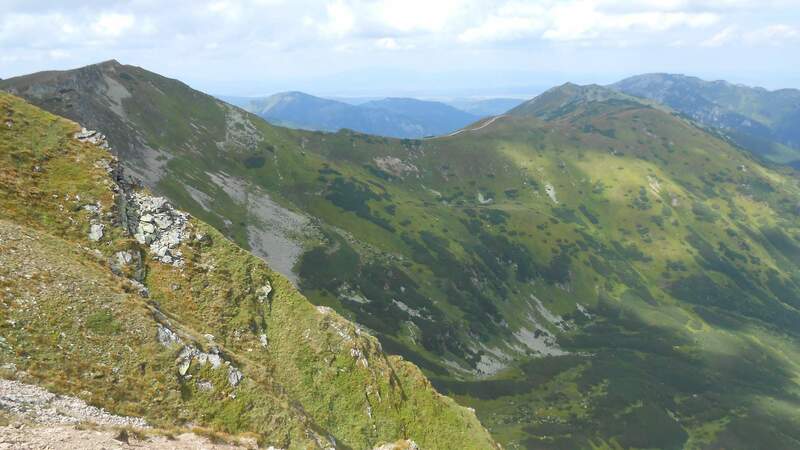 There’s some 1300 pieces of this animal totalling both Slovakian and Polish side of both Západné and Vysoké Tatry (the mountain range transitions smoothly), but majority sticks to places hardly reached by hikers and usually completely off-limits. Seeing one is really lucky. I was lucky, I saw three, for now. I took a few photos, not sure how well they’ll look. I did not dare go too close, instead gestured to the few people resting around to get up and have a look before they run away. They did not, and as long as I remained some 50 meters away, they kept chewing the tough grass. I made a few steps back and waited for a while, taking photos of the hills around. Two of the animals eventually ran away, but the third, who was displeased when one of their own approached his grazing spot, refused to leave. I did not expect to see one during this week, after all, in 2015 on the Polish side, I saw one from distance of some 200+ meters and that was it. Now, as this one really did not like to leave, I was maybe 10 meters from him. Really close. I did not expect that, really. Anyway, he made a few steps away, to let us pass, and as more people came, eventually went to find different grazing spot, though very reluctantly. 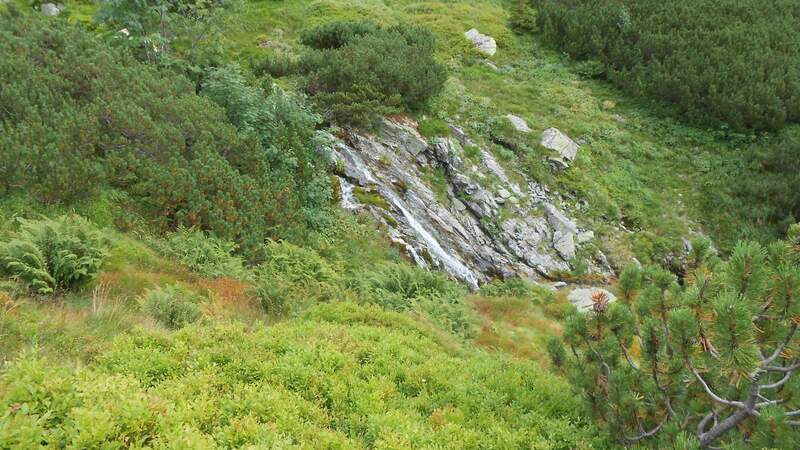 I resumed the hike and looked around, enjoying the landscape. 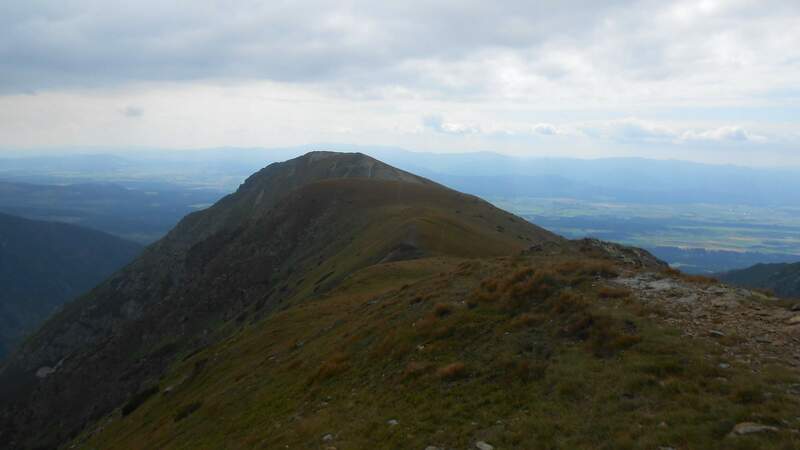 After a while of rest on the peak, I started the descent to the pass on Slovakian-Polish border. I took several looks across the border, remembering the second day of my 2015 stay, including the rush down being chased by clouds and the following rain that took maybe 30 minutes. Fortunately it did not look like raining today. 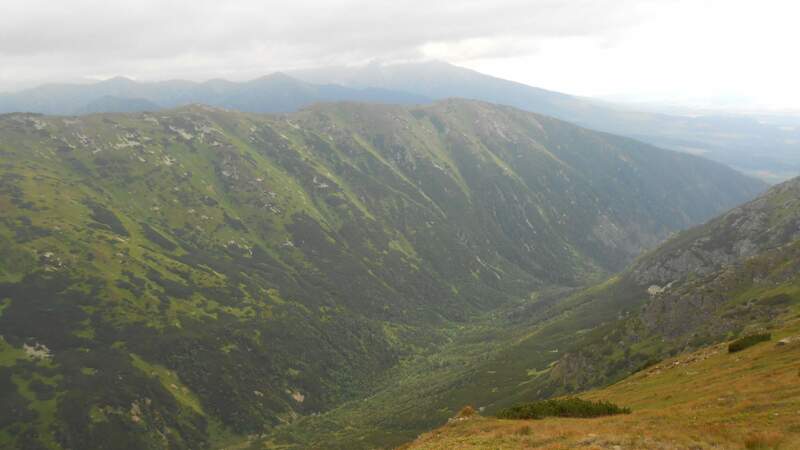 From the border pass, I turned back, descending through another valley. 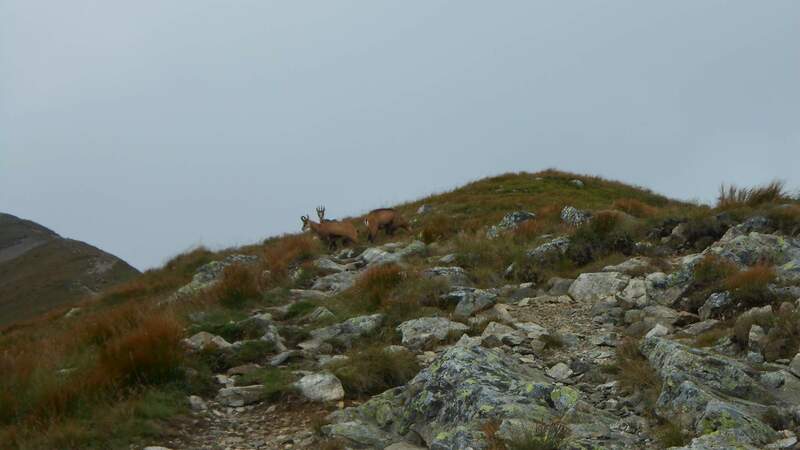 Our luck still did not run out, as we saw one more chamois there (maybe it was the same as on of those earlier, who knows?…). The clouds passing above us harmlessly played their show of shadows and light on the slopes around while the landscape provided another pleasing sceneries with cascading stream. Before we were taken by the forest again, I looked to the right (west) slopes and the jagged rocks that were planned for the next day. Hooray.